Here’s how it works: Motel 6 will give free rooms to developing bands on the touring circuit. (The cheapo chain has roughly 1,000 properties in every U.S. state save Hawaii.) In exchange, the bands promise to give shout-outs to the chain on their web sites, and even from the concert stage. The promo will begin next month with the Massachusetts-based alterna-country band Stephen Kellogg and the Sixers. Other acts on board include the punk-pop band Hit the Lights and the rock act Sparks the Rescue. All the bands involved are signed to Primary Wave Music, which brought the idea to Motel 6 several months ago. Later, the promotion is expected to expand beyond bands affiliated with Primary Wave. To ensure that the groups don’t pull a Keith Moon on the rooms, company spokesman Jeff Palmer told Reuters, they’ve asked Primary Wave to insist that its bands “not go crazy" during their stays. No really, it's not a joke. Bob Dylan is releasing his first holiday record on 10/13, annd it will include...wait for it..."Here Comes Santa Claus" and "Winter Wonderland," among others. I'd make a crack about scaring the kids and neighbors with it, but that's just too easy. Bob Dylan, born Robert Zimmerman, famously found Jesus in 1979. 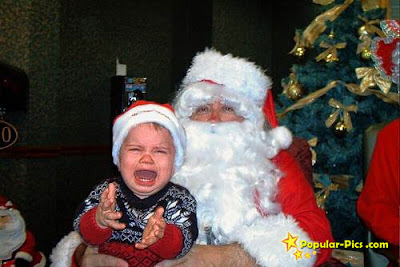 Thirty years later, he's found Santa. Dylan, the author of such iconic songs as "The Times They Are A-Changin'," is releasing "Christmas in the Heart" -- his first holiday album -- on Oct. 13, Columbia Records said yesterday. Among the tunes Dylan will warble on the disc, his 47th, are "Here Comes Santa Claus," "Winter Wonderland," "Little Drummer Boy" and "Must Be Santa." The cover of the album features a Currier and Ives-ish painting of a horse-drawn sleigh. ROCKER Ryan Adams is branching out. The "New York, New York" singer, who married Mandy Moore in March, will be writing a once-a-week video game column for fledgling general-interest Web site The Awl. His first column, about the video game Gorf, debuts today. After a long fight with brain cancer, Senator Ted Kennedy has passed away at age 77. Say what you want about the man, like him or dislike him, agree with his beliefs or don’t...but in this day and age, with the art of oratory so poorly displayed by so many, especially rampant amongst those whose job it is to use speech to inspire or change minds, hearts, and ideas, it was a pure joy to hear Ted Kennedy make a speech to the people. Even just after surgery for his brain tumor, he left his sick bed to go up in front of the Democratic Convention last year to deliver what some of us couldn't give on our best day. Or go back to the eulogy he gave at his brother Bobby's funeral. He was a man who could, and would, speak to the people, no matter the condition, and make you believe. A good speaker says the words clearly and effectively so as to be understood, but a great speaker makes the listener believe the words as well, believe they are coming from the depths of the speaker’s heart, or the speaker is somehow pulling them right from the listener’s own soul. This is what a great speaker can do. This is what Kennedy could do. This skill, some might say trait, along with his ability to effectively work with those in his own party as well as across the aisle, should be something those currently in power openly seek to emulate daily, not just when the moment best suits their needs, and bring the beliefs to fruition...make the words reality. Whether you liked him or disliked him, agreed with his beliefs or not, it cannot be argued that our country lost a very special asset with the passing of Ted Kennedy. "Some men see things as they are and say why. He dreamed things that never were and said why not." Indeed; Why not? Words, a spirit, I’d like to see our current leaders serve...today...now...more than ever before...and dedicate their professional lives, as Ted Kennedy did, to answering that question and fulfilling those beliefs. Rest in Peace Teddy. May your work here be done. Can't make it to the Outside Lands Festival in San Francisco's Golden Gate Park this weekend? No worries, Youtube loves you like Wilco baby. YouTube will be live-streaming some of the festival to viewers in the US from Friday, 8/28 - Sunday, 8/30. Coverage will include performances from Dave Matthews Band, Jason Mraz, Thievery Corporation, The Dead Weather, Silversun Pickups, Raphael Saadiq, Cage the Elephant, Atmosphere, among others. The live webcast link is here. 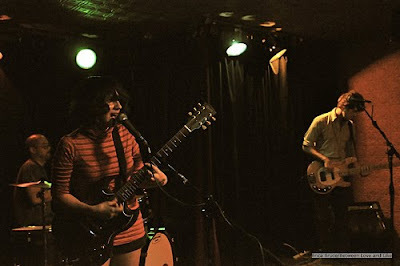 One of my favorite bands from the Silver Lake scene is The Happy Hollows. Always energetic and enigmatic, they're a power-trio who inspire their crowds to rock out as much off the stage as they do on. (Read our review of their DC show last year here.) Plus, they're all incredibly nice people, with an incredible sense of humor (Sarah Negahdari is definitely in the running for the "cool as Kim Deal" award for sure), so double-win. The Hollows are heading out on the road for a handful of dates to support their first full-length record, Spells, out 10/6 on Amazon, Itunes, etc. But! It's available to listen to digitally over at Bandcamp now. "Vietnam" is an older Hollows song, but it so rocks (that bass line!) and the video is so creative, it absolutely remains a favorite. "All is Love," the first single from the Karen O-created soundtrack for the movie version of Maurice Sendek's Where the Wild Things Are began streaming today here. 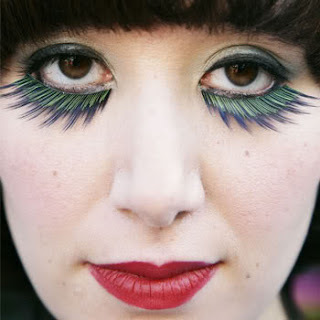 Karen O, lead singer of Yeah Yeah Yeahs, "enlisted friends and fellow musicians she believed had a musical intuition that would bolster her intent to marry sound to vision." O says, “I didn’t want to make music that was hammering you over the head or go for some kind of pushbutton emotion. What I initially wanted to do was close to Cat Stevens in Harold & Maude, really simple, but memorably and seamlessly woven into the movie." "All is Love" includes O and an untrained children's choir; the rest of the members of "Karen O and The Kids" include O's YYY bandmates Nick Zinner and Brian Chase, Tristan Bechet (Services), Tom Biller (co-producer with Karen O and member of Afternoons), Bradford Cox (Deerhunter), Dean Fertita (Queens of the Stone Age, The Dead Weather, The Raconteurs), Aaron Hemphill (Liars), Greg Kurstin (The Bird and the Bee), Jack Lawrence (The Dead Weather, The Raconteurs, The Greenhornes), Oscar Michel (Gris Gris), and Imaad Wasif (New Folk Implosion, Alaska). The full soundtrack is available 9/29; the movie, directed by Spike Jonze, is out 10/16. Bon Iver announced that the band will perform for fans (and whatever zombies are lurking) in the Hollywood Forever Cemetery in Los Angeles, CA at dawn on Sunday, 9/27. Tickets are onsale now. With all the clubs in LA he's playing a cemetery...At the very least, it's different. Will there be a comparable show done for east coasters at Woodlawn we wonder? Bon Iver will perform a concert on Sunday, September 27th, 2009 as morning dawns over graves of silver screen legends at the Hollywood Forever Cemetery in Los Angeles, California. The gates will open at midnight on Saturday night with the performance to commence at 6am on Sunday. Tickets are $25 and include a coffee and pastry breakfast. We encourage fans to bundle up (bring your blankets, too) and expect that various entertainment will be presented to them leading up to the big show. Hollywood Forever is located at 6000 Santa Monica Boulevard. Hollywood Forever Cemetery, in addition to being the beautiful resting place for hundreds of Hollywood's defining artists (including Cecil B. DeMille, Douglas Fairbanks, Rudolph Valentino, Jayne Mansfield and the venerable Estelle Getty), is becoming a cultural center for the arts with a popular outdoor summer film series, the annual Dia de los Muertos festival and musical performances at Hollywood Forever's Masonic Lodge. The Cannery Ballroom and its second-floor sister, Mercy Lounge is a well-established music venue in Nashville, TN. Ask anyone who's been in a touring band, and like the 930 Club here in DC, or Webster Hall in NYC, they can tell you that the Mercy and the Cannery is one of those well-run and respected clubs that bands like to play at whenever they have a Nashville date. Located in downtown Nashville near the historic Gulch district, the Mercy Lounge was opened in 2003, and the Cannery Ballroom opened downstairs shortly thereafter. The venue, holding 500 and 1000 respectively, is one of six rock clubs in Nashville. So how does one make a music club into something that's successful, both in name recognition and monetarily? What are the best and worst parts of owning a successful club? I sat down with one of the owners of the Mercy/Cannery, Todd Ohlhauser, to inquire. BL&L: Can you give us a brief overview of the history of the Cannery/Mercy? TO: Well, the Cannery was a club in the '70s and '80s. It was really the only place for mid-size acts to play, like the Red Hot Chili Peppers, Iggy Pop, Lenny Kravitz, Steve Earle…whoever was coming out at that time played the Cannery. It became really dilapidated and closed down in the early 90s, and sat vacant until my business partner, Chark Kinsolving, opened it as the Mercy Lounge up on the second floor of the building in 2003. BL&L: Now it’s really an old cannery right? TO: Yes, they canned peanut butter and jelly and things like that. BL&L: Wow, so it’s an old industrial space, interesting. In a sense, it was a “new” club when you opened it. Did you have an idea in mind, something you and your partner discussed, about what it was you wanted the place to be, or did it just evolve? BL&L: In terms of size, Mercy fits 500 people and Cannery is 1000, is that right? BL&L: You’d made mention of the acts who’d played there in the 90s. 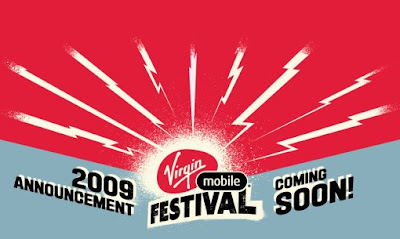 Can you talk about the acts you’ve had play there? Who was the most popular in terms of selling the place out? BL&L: So it’s been a variety of people you’ve been able to get in there. Let’s talk a little bit about your personal history. You managed a few different local Nashville bands before getting involved with the Mercy/Cannery. Has that background made any influence on the way you run the club or the way you tend to interact with bands? TO: Well I definitely see it from the other point of view. Back when I was the guy trying to get gigs and hassling the club owner and wondering why they don’t call back, it’s like…yeah... now being on the other side I definitely get it (laughs). I have a talent buyer, John Bruton, who books the bands, so I don’t deal with the bands as much as some club owners do. BL&L: If you don’t know anything about the Nashville scene, you might think it’s all twangy and countrified. But it’s actually a pretty big place in terms of all types of music, where companies will have offices there as well as NY and LA. Can you talk a little bit about the Nashville scene? TO: It’s vast and not specific to one type. There’s a little bit of everything here, there isn’t a Nashville rock sound. There are a lot of good singer-songwriters, good indie rock, there’s a hard rock scene…I think the thing that separates Nashville from other places is that it’s very song-oriented. It’s like, I’ll go to SXSW and see all these hot bands, and it’s like “eh.” And I’ll walk down the street and hear somebody I know from Nashville, and it blows anything else away because it’s song-oriented, you know? BL&L: What does that mean exactly, song-oriented? Like a hooky kind of a song, one that catches you? TO: Yeah. I guess it’s when a song stays with you, it’s more of a vibe. BL&L: What about the interactivity amongst club owners there? Are there a lot of indie rock types of clubs there? TO: No, for rock clubs, there aren’t really a lot; I guess about six. And we all know each other. It’s competitive, but we’re all friends. So we can call each other up and say, “Hey, I’ve got a hold on such and such, who do you have that night?” So this way, Son Volt doesn’t play one club and Wilco play another the same night [as these two have the same type of audience]. BL&L: Right, right. Have you seen any changes in business with the recession in terms of concerts but also just owning a club in general? TO: Yeah. Bands aren’t touring. The amount of bands on the road has decreased significantly, they can’t afford to go out. So we have to rely more on the local scene. People will come out if it’s cheap. But the higher priced tickets, the bands charging $25-$30 for a club show? They’re drawing about half of what they were a year ago. BL&L: I saw on your site that y’all tend to have things like “15th Anniversary of J Buckley’s “Grace”” and “Off the Wall-Live!” where different bands play Michael Jackson tracks from that record. Are these ideas that are brought to you, or are these ways y’all develop as a way to fill an evening? TO: Both. Those things seem to be the types of things that bring people out. There’s a local band called The Long Players, which is Bill Lloyd and Steve Allen... Gary Tallent was in the band for awhile. They cover classic records, and they have a different singer on each song...they have people like Steve Earle or Brenden Benson come out and sing whatever they’re covering, like Ziggy Stardust, or The Band, or Sticky Fingers. It seems consistently…people want to come out and hear what they know. So these tribute shows do really well, if they’re done right. I don’t really like the “impersonator” bands, a lot of that is really cheesy. But these others that include like, real professional musicians who do their own music come out and do somebody else’s, it makes it more special. And they seem to do really well. BL&L: In terms of the indie musicians in Nashville, is there any of an “us against them” mentality against the more established country side? TO: Yeah, somewhat. So much of what’s happening on Music Row, we’re so much removed from…it’s a completely different world. BL&L: Are there any big local bands there that you think people should keep an eye out for? 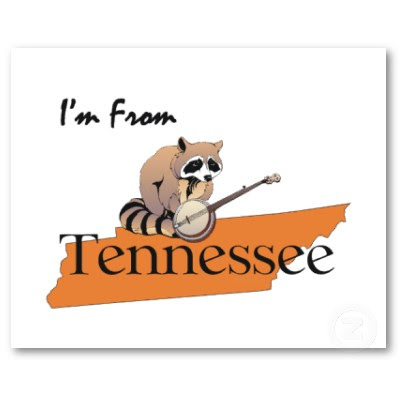 BL&L: I know of people who’ve never been to Nashville but who know about the Cannery and Mercy Lounge. What do you think it is that makes the Cannery and Mercy such a success? TO: I think with the Mercy, it’s the vibe. It’s a place that you can come and hang out, and it doesn’t really matter whether you know the band or not. You can hang out in the back and shoot pool, you can hang out on the deck and see the view of downtown Nashville, you can be dressed up or come in jeans…it’s not a hipster vibe like a lot of clubs. It’s not like a lot of other clubs where you come to see a band then leave to go drink somewhere else; it’s a bar first, but we still have bands. BL&L: It’s a bar for people who like music? TO: Yeah, that’s about right. BL&L: What’s the best and the worst parts of owning a club? TO: (laughs) The best part of owning a club, I guess, would be when there’s a band that you really love, that you see [their audience] grow from 50 people, to 100 people, to 500 people, to 1000 people; that would be the best. BL&L: Who is an example of this for you? TO: Drive by Truckers, Lucero…I mean the first time they played the venue, it was like 100 people. And now they sell 1000 tickets. That part is great. Having a large crowd for a band you actually like is great because too often, the bands I like don’t draw anyone (laughs). BL&L: So why don’t you speak to some of your personal favorite bands? BL&L: Just across the board. I mean locally, you’d probably be able to get them play in there. BL&L: Ok, so now what’s the worst part about owning a club? BL&L: Can you cite a favorite night that you’ve had since opening the place? TO: Probably it would have been when the White Stripes kicked off their tour there. That was pretty incredible. It’s great when a band comes in that you’re not familiar with and blows you away, like Langhorne Slim or The Black Hollies. There was 20 people here, but The Black Hollies were fantastic. Too often, being there every night, you just tune it out. So to have a band that actually makes you stop and listen…. BL&L: I’d heard a quote once that said, “Nashville is known for not getting excited about anything.” Why do you think that is? TO: Because everybody is a musician (laughs). Everybody in the audience is a musician, everyone dates a musician or knows a musician, your pizza delivery guy is a musician, you go to a restaurant and your waiter is a musician…I mean, Keith Urban and Nicole Kidman, you see them everyday going into Starbucks or the movie theater, and you don’t even notice because you know, nobody cares in Nashville. I mean, I saw Tim McGraw coming out of Office Depot yesterday, and it was “Oh yeah, hey.” But that’s why those people move here and live here, nobody bothers you because nobody cares. As far as bands go, the crowds in Nashville tend to be very calm, standing there with their arms folded, “Show me what you got.” A lot of bands hate it (laughs). BL&L: Who would you love to have play there that you haven’t yet had there? TO: As far as realistic bands…I mean, I’d love to have Bruce Springsteen play my club, but he’s not going to play my club (laughs). But in terms of a band that, if they came through town my place would be the natural place for them to play, then yeah, The Hold Steady would be the band I would want. BL&L: Do you think you have to be a music fan to own a music club? BL&L: What advice would you give to anyone who wanted to start a club? 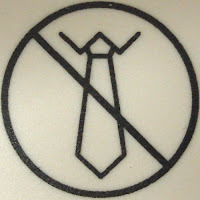 TO: Don’t do it (laughs). Don’t do it unless you want to spend many years not making any money…I mean, it’s hard, and that’s why most clubs don’t make it, it’s very hard to keep afloat. The first several years we were open, I was working about 100 hours a week. And now…luckily we’re in a position where we have a general manager, Drew Mishke, who works 100 hours a week (laughs). And I get to have somewhat of a normal life, whatever that is. 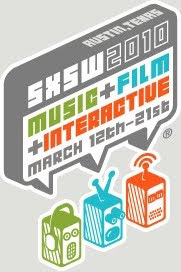 FYI, SXSW 2010 Music registration opened 8/3 (we don't call BL&L your last place for current news for nothing heh). And just like a lover who hurts you so good, the initial badge price is up to $595 this year. Initial price period ends 9/25 (and prices go up continually from there), so buy early! Silversun Pickups bassist Nikki Monninger and Eulogies guitarist/lead singer Peter Walker's video for their lovely duet, "Two Can Play." Can't say the video makes a whole lot of sense to me, but many guy friends who've seen it have rhapsodized about Monninger in a tennis skirt, so maybe that's its point? 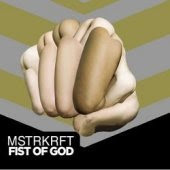 At first listen, or even second or third, MSTRKRFT (pronounced "Master-craft") appears to be an unremarkable techno act. Some things may catch the ear, like their rubbery bass sound that nicely brings out their rhythm. And, if you're willing to pay attention to some of their remixes, you can see something a little different about them as opposed to the myriad of other DJs in the electronic music world. But ask anyone who's seen them live and you'll see where their genius lies, as there's something indefinably amazing about watching those guys do their thing. I detest the idea of clubbing but when I saw them live at the recent Rothbury Festival, it was an amazing, relentless assault of bass and pop hooks that were ground up like sausage and spat out like magma from the mouth of a volcano. If you watch the two men at the helm (Alex Puodziukas, or Al-P, and Jesse F. Keeler), they're just as mesmerized by the sounds they make as the many hundreds who show up to lose control to their music. They shake, bounce, smoke, and drink, all in time with their music, exhilarated by merely being there and unleashing their set on the crowd. Just before they went on at Rothbury, Keeler leaned over to me and told me giddily the song they'd be starting with; it was obvious that they were just dying to get on stage. I was happy to hear his secret, even if only for the three minutes that it was one, and I was even happier to dance like an idiot for the duration of their set. Talk about a contribution to the music world...thanks so much Mr. Paul. 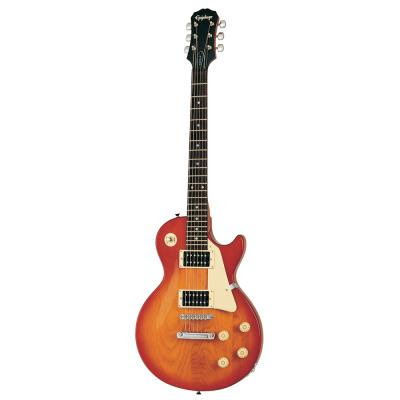 (Source) WHITE PLAINS — Les Paul, the guitarist and inventor who changed the course of music with the electric guitar and multitrack recording and had a string of hits, many with wife Mary Ford, died on Thursday. He was 94. Old 97s frontman Rhett Miller was in a CNN segment this morning. If you haven't yet paid a visit, you must head over and explore the Snagfilms site. It has a plethora of great indie films from all different genres that you can watch online for free, including Dig!, the documentary about the Brian Jonestown Massacre and the Dandy Warhols, and Black, White and Gray,a history of the relationship between photographer Robert Mapplethorpe and his benefactor lover Sam Wagstaff. 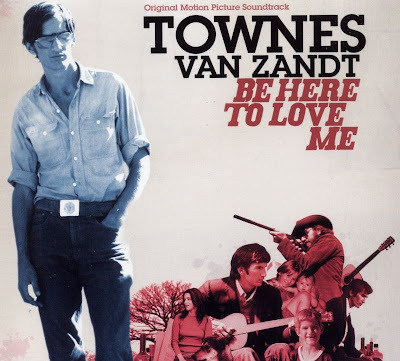 One of its absolutely stellar adds though has to be Be Here to Love Me, a documentary on the great singer/songwriter Townes Van Zandt. Van Zandt is one of those cult figures whose name not everyone knows but whose musical influence is felt and generated by musicians far and wide, everyone from Lucero to Sonic Youth to Willie Nelson. I got to thinking about this documentary again this weekend after hearing a gorgeous acoustic version of "Hey Darlin Do You Gamble" by Lucero's Ben Nichols and Rick Steff (a full band version of the track will be on their forthcoming release,1372 Overton Park this October). The title of "Hey Darlin" comes from the line Van Zandt actually used to pick up his third wife and kudos to Nichols for using it. Van Zandt's music and lyrics are those you just feel and have a way of getting in your blood; given the Van Zandt's life story, I think it's because you know the man wrote what he lived. Like a good biography, those are the stories that always resonate the deepest. As we reported recently Lucero's sixth release, 1372 Overton Park comes out October 6 (presale info and a cool 6-song sampler with your order can be found here). The good news is that the new tracks are white hot, with horns and female backup singers; frankly, it’s like they decided to couple some of the best aspects of Memphis and its music with their own fab style of sodden and whiskey-soaked cowpunk. 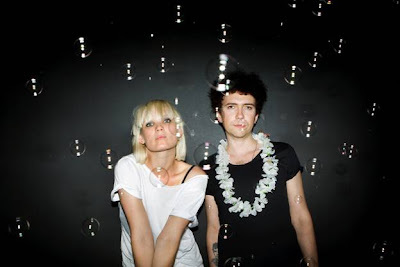 The Danish pop duo, The Raveonettes released the first track from their forthcoming record, In & Out of Control, due out October 6. The track, titled "Suicide," continues with Sharin Foo's whispy vocals and driving pop beat that the Raves are so known for. Out this week is a debut novel by Joe Pernice. While his band, the Pernice Brothers, didn't ever really do much for me musically, his book sounds interesting. Course, I love any book that provides music lyric references (otherwise why else would I still be willing to read Chuck Klosterman after that god-awful Downtown Owl?). And "Charles Bukowski after listening to Dusty Springfield," how can you resist something with a comparison like that? 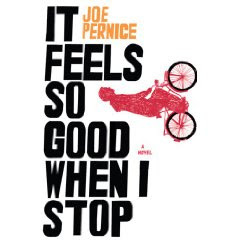 READING indie pop musician Joe Pernice's debut novel, "It Feels So Good When I Stop," is like being assaulted by Charles Bukowski after listening to Dusty Springfield. The artist's pretty pop songs can have a lyrical dark side, but they don't generally need an R rating. 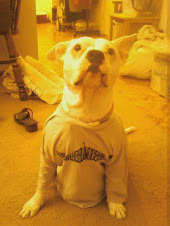 On the other hand, his profanity-laced tome -- which includes a character named Dogs - - t -- might. "I didn't make it filthy for the sake of being gratuitous," says Pernice. "Plenty of guys talk like that." In this case, the guy is a nameless 20-something musician who has fled his wife of three days after a long, tumultuous relationship. The novel, set in Cape Cod, follows his search for self and is sprinkled with musical references, varying from hits such as Todd Rundgren's "Hello It's Me," to lesser known tracks such as the Dream Syndicate's "Tell Me When It's Over." Pernice, who is known for his '60s-pop and roots-rock style of music with bands the Scud Mountain Boys, Chappaquiddick Skyline and the Pernice Brothers, also recorded a CD of covers by artists name-checked in the book. The singer, who grew up in the Boston area and now lives in Toronto, will read excerpts from the book and perform songs on Friday at the Bowery Ballroom. As an undergrad at UMass Amherst, he considered writing fiction but wound up turning to poetry in grad school and published a book of poems. "Fiction took a back seat, mostly because I didn't have much to say at that age," says Pernice, now 42. "I hadn't really lived." After the 2003 publication of his novella, "Meat Is Murder," based on the Smiths' song, Pernice revisited the idea of writing a novel. Before he settled in to write "It Feels So Good When I Stop," he brainstormed ideas for the plot and characters for nearly a year, as he and his wife took care of their newborn. When he finally did begin writing, he was more likely to hear Aussie kid band the Wiggles than any indie rock acts in his household. "It's true, man," he says. "Their songs are hook-y, and they're not just a bunch of washed-up guys making a buck off of kids' music. They're the real thing. Kids are berserk over them. I have listened to some of their songs 50 times in a row. No joke." Although Pernice says he "subconsciously" had a covers album in mind while he was writing, the Wiggles didn't make it into this book. Maybe for the next novel -- if it's G-rated.